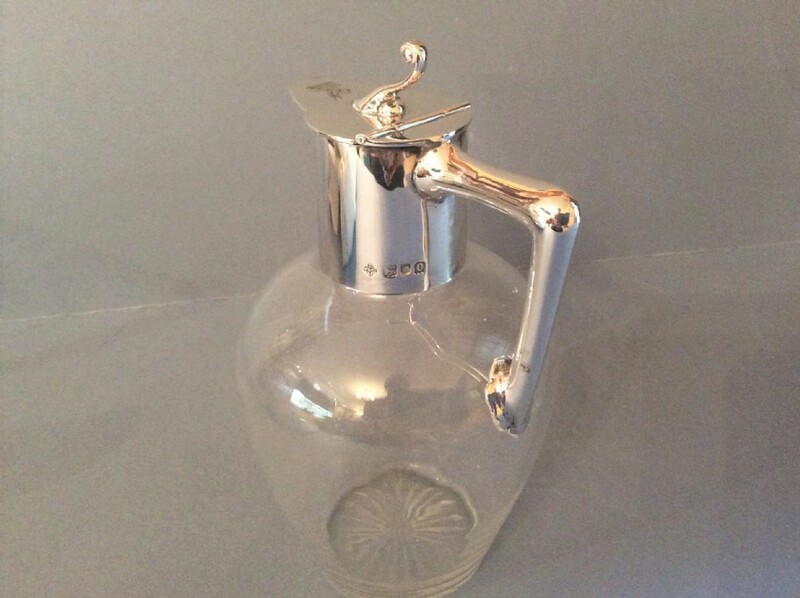 A fine, small, solid sterling silver-lidded water or claret Jug. 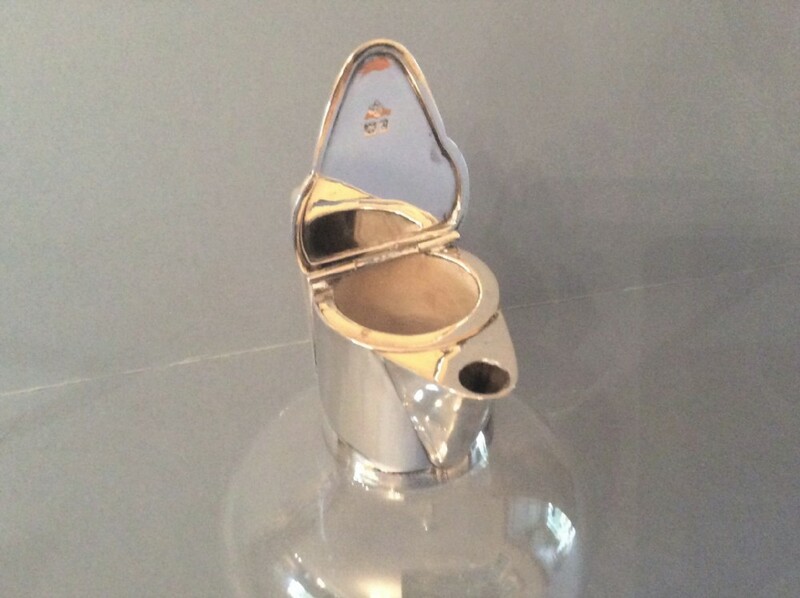 It is clearly hallmarked on the side of the silver mounts for London 1898, with the maker's mark of Horace Woodward & Co Ltd. 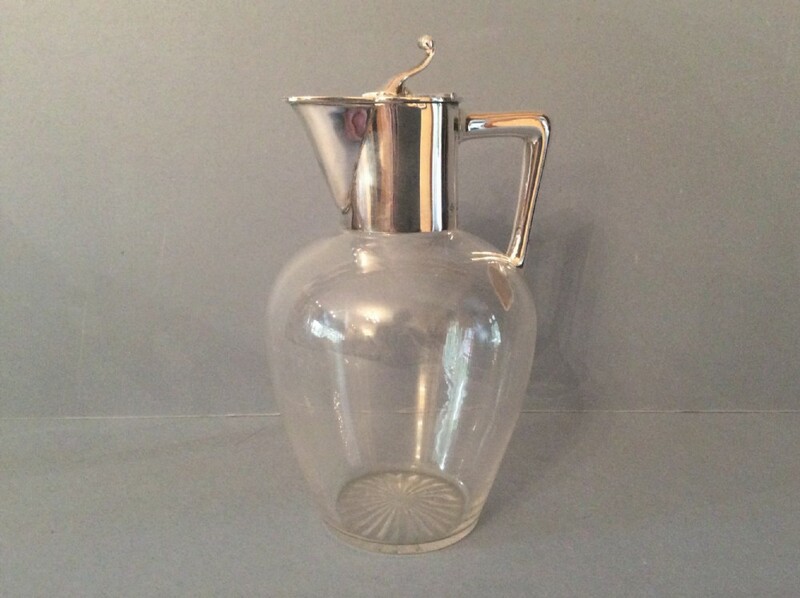 The jug is in a classic 'Christopher Dresser' shape, with a plain bulbous body, angular handle and star burst base . The glass is in excellent condition, as is the silver. 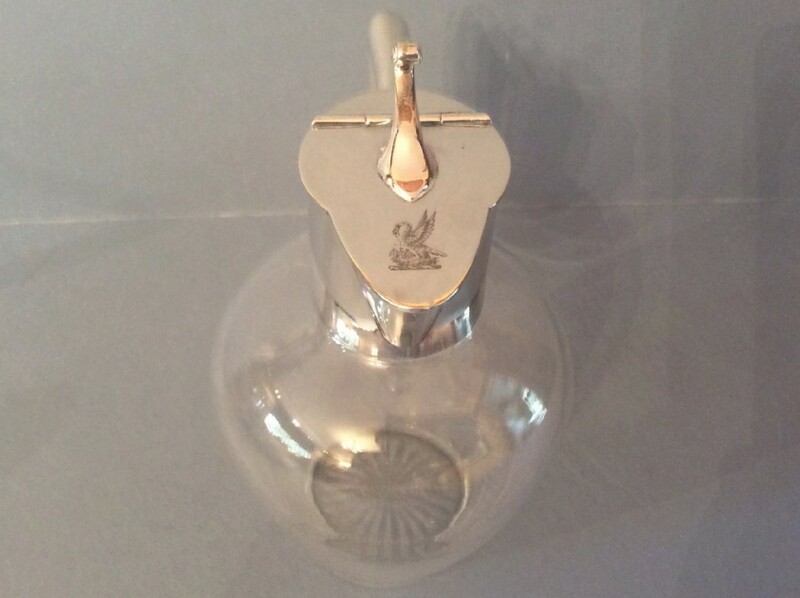 There is a family crest on the lid, a picture of a swan feeding it's young. Post and packaging are free within the UK via Royal Mail special delivery. Overseas buyers please e-mail for postage costs. Thank you. Please note: payment by credit or debit card can be made by pressing the ‘pay now’ button on the item page - A PayPal account is not needed. 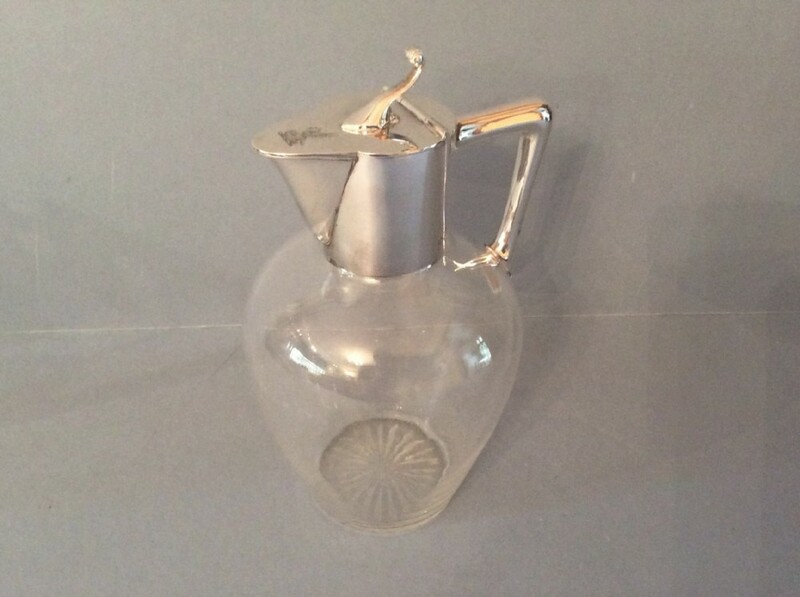 The Antique Victorian Solid Silver-Mounted Jug has been added to your saved items.